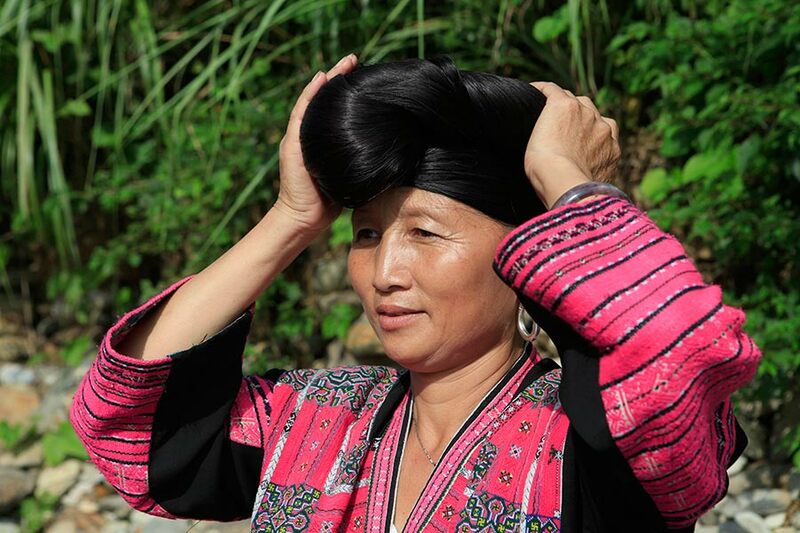 To 51-year-old Pan Jifeng, the long hair that women of the Yao ethnic group have kept for generations is a symbol of auspiciousness. Huangluo village in Guangxi Zhuang autonomous region is home to descendants of the Yao ethnicity. The women here are characterized by their red embroidered dress and their long hair, which is long enough to have their home recognized as the "world's longest hair village" by Guinness World Records.